"Arabic is a controversial language," Edward Said was once told. This intriguing statement was made to him by a New York publisher who offered it as an explanation for his turning down the Arabic titles that Said recommended for possible translation and publication. The awarding of the Nobel Prize to the Egyptian novelist Naguib Mahfouz in 1988 must have made Arabic "less controversial," for several of Mahfouz books have since then been translated and released in the West. Other writers have benefitted from this international interest in Mahfouz, living to see some of their works available in English to readers in Britain and the United States. 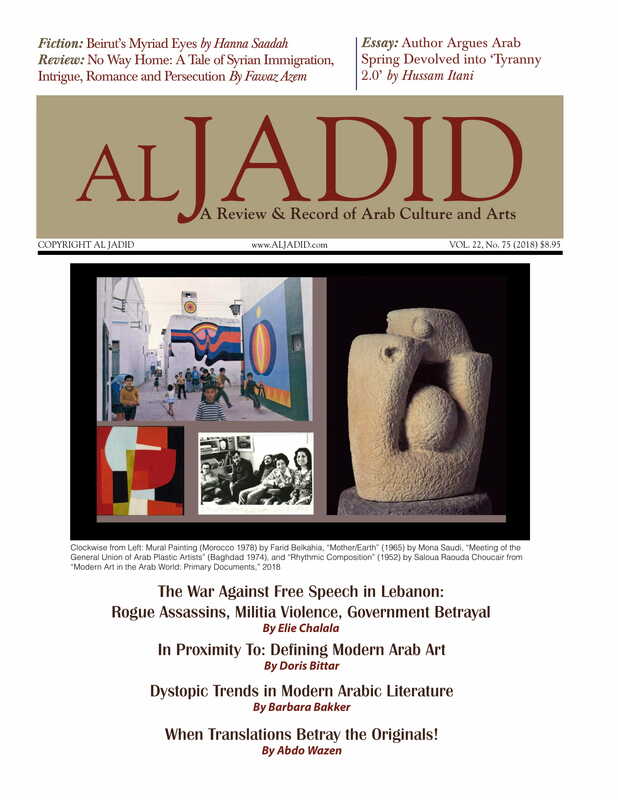 Among those whose works have been translated are the Lebanese Elias Khouri, the Palestinians Mahmoud Darwish and Ghassan Kanafani, the Egyptians Gamal al-Ghitani and Edwar el-Kharrat, the Moroccan Muhammad Barrada, the Saudi Abdelrahman Munif, and the Syrian Hanna Minah, to name just a few. Many of the works recently published in English translations are also by women. That a market exists in the West for Arab women's creative products is hard to miss. The first Arab woman writer to catch the attention of Western readers was the Egyptian feminist Nawal el-Saadawi. Her non-fictional book "The Hidden Face of Eve" [Al Wajh al-ari lil-Mar'a al-Arabiya, 1977] appeared in English in 1980, instantly becoming a "classic." The interest it generated carried over to el-Saadawi's fiction. Her novel "Woman at Point Zero" appeared in English in 1983. Since then thirteen of her books have been published in English translations, making her the most visible of Arab women writers. The popularity of her books in the American college classroom makes her particularly marketable. El-Saadawi's positive reception sparked interest in other Arab women writers. The Lebanese novelist Hanan al-Shaykh's "The Land of Sand and Myrrh" (Misk el Ghazal), which centers around the oppressed lives of four women in a Saudi-like desert country, was a commercial success when it was published in English in 1992. It was voted byPublisher's Weekly one of the year's best books. Its publisher, Doubleday, prepared a guide to go with it and arranged a 22-city American book tour for al-Shaykh, the first ever for an Arab novelist. Riding on this success, an earlier novel of al-Shaykh's about the Lebanese Civil War, "The Story of Zahra" [Hikayet Zahra], was translated, followed by her most recent one "Beirut Blues" [Bareed Beirut], also about the war and its aftermath. Works by other writers such as Alifa Rifaat, Ghada Samman, Emily Nasrallah, and Assia Djebar have also become available in English. "We need to encourage a vigorous critical discussion about Arabic literature and culture in the West - one that does not limit itself to the academy. The debate should go beyond 'appreciative' criticism that condescendingly praises Arab women writers for 'daring' to put pen to paper." The effort to translate Arab women writers into English is now more systematic. 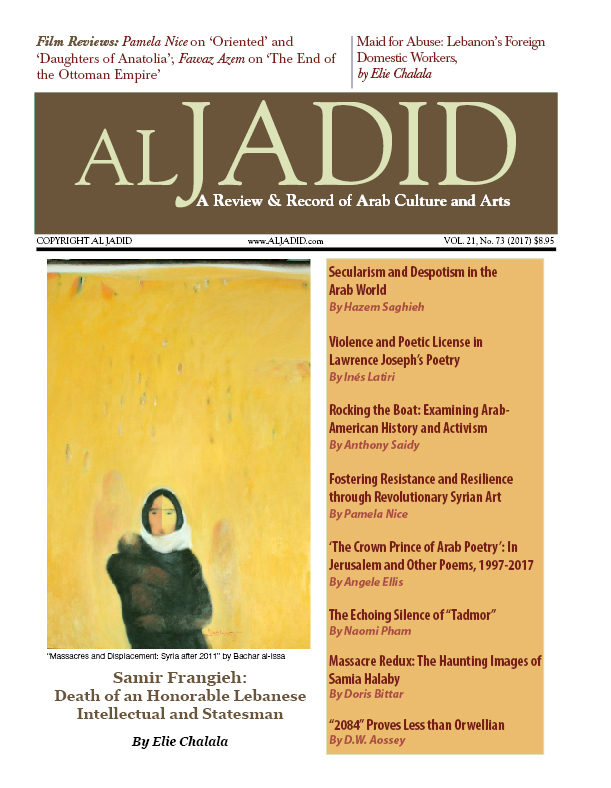 The Project for Translation from Arabic (PROTA), established and directed by the Palestinian poet, editor, and translator Salma Khadra Jayyusi, has helped bring out in English works by Palestinian women writers like Fadwa Touqan, Sahar Khalifeh, and Liana Badr, along with works by other Arabs. Recently, Garnet Publishing of London began a series called "Arab Women Writers" edited by the Jordanian novelist and critic Fadia Faqir. The five novels published so far are by the Palestinian Liana Badr, the Iraqi Alia Mamdouh, the Syrian Hamida Na'na', the Egyptian Salwa Bakr, and the Lebanese Huda Barakat. How is one to explain this interest in Arab women writers? One might first ask whether this is a fair question to begin with. No such questions are raised about Arab male writers. In the case of Mahfouz, the translation of his works is seen as the logical outcome of his winning the Nobel prize and a long overdue appreciation of his literary genius. At the same time, it is taken for granted that Arab male writers who have not won international prizes are still worthy of being translated. Their female compatriots, however, appear on the Western literary market with a cloud of suspicion hanging over their heads. Nawal el-Saadawi is a case in point. Her success in the West generates much skepticism. The Western interest in her is not innocent, some critics believe. They argue that she is acclaimed not so much because she champions women's rights, but because she tells western readers what they want to hear. In this view, the West welcomes her feminist critique of Arab culture because it confirms the existing stereotypes of Arabs and Muslims as backward, misogynist, and violently oppressive. Her promotion, critics charge, is part of the systematic and historical Euro-American demotion of Arabs and their culture. Some dismiss this assessment of el-Saadawi as one coming from male critics hostile to her feminism. But this argument is also advanced by Arab women writers who themselves are being translated into English. Earlier this year, at a conference in London organized in conjunction with the new Garnet series and titled "Translating the Life of the Arab Woman," the discussion focused on the issue of the Arab woman novel in translation. In an interview with the Arabic newspaperAl Hayat about the issues raised during this meeting, one of the novelists, Alia Mamdouh, declared that she has "large question marks about the West's celebration and focus on" el-Saadawi. According to her, "Nawal el-Saadawi does not present the true picture of the creativity of Arab women." She criticized the way el-Saadawi "turns 'creativity' which is imagination and living memory into a lab to show sick samples which are deformed and which she represents as generalized social types." The novelist Ahdaf Soueif, another participant, concurred with Mamdouh's assessment. She added: "El- Saadawi writes scientific research which is good. But she writes bad novels and it is unfair that the West thinks that what she writes represents Arab women's creative writing." While both novelists acknowledge the leading role el-Saadawi played as a feminist, they dismiss her as a novelist and view their generation of writers as superior representatives of Arab women's creativity. Interestingly, Mamdouh makes it clear that she is suspicious of the attention her own writing is getting outside the Arab world. But she believes this attention is ultimately for her benefit since it allows her to present nuanced work that enlightens and provokes Western readers, instead of merely confirming their ready-made assumptions and prejudices. I agree that el-Saadawi is popular in the West partly because her works have played into Western prejudices. But I don't think this fact should be merely used to dismiss her achievement. This current generation of Arab women writers face the same problems of reception she has faced and will be better off reflecting on the historical factors behind this kind of reception than elevating themselves at the expense of a predecessor. To understand the problem Arab women writers face we need to look at the long and complex history of their reception in the West. Historically, the West's interest in Arab women is part of its interest in and hostility to Islam. This hostility was central to the colonialist project, which cast women as victims to be rescued from Muslim male violence. The fixation on the veil, the harem, excision, and polygamy made Arab women symbols of a region and a religion that were at once exotic, violent, and inferior. Recently, the Iranian Revolution of 1978-1979, which toppled the pro-USA shah, revived and intensified Western attention to Islam. So did the increased visibility of the new Islamists political groups in Algeria, Egypt, and Sudan. "Fundamentalist Islam" has become the number one enemy for a post-cold war West desperate for something to hate. The Gulf War once again cast the Middle East as violent and threatening. This history cannot be simply dismissed as irrelevant and these political events cannot be seen as marginal to literary reception. Arab women novelists still carry the burden of this history, whose effects are too obvious to ignore. They can be seen in the way Arab women books are marketed and received in the West, in the way they are manipulated to meet the expectations and assumptions of Western readers. For example, when the memoirs of the Egyptian pioneer feminist Huda Sha'rawi were translated into English, the original title their author gave to them, "My Memoirs," was replaced with the more provocatively loaded one "Harem Years." Fadia Faqir's "Nisanit," which is about the Arab-Israeli conflict, appears with a woman draped in black from head to toe on its cover although this cover has nothing to do with the novel's content. The changes are not limited to titles and covers, however. El-Saadawi's English translation of "The Hidden Face of Eve" emphasizes female genital mutilation more than the Arabic original does (I discuss this issue in detail my essay "Framing Nawal el-Saadawi: Arab Feminists in a Transnational Context," which is part of a forthcoming anthology on Arab women writers). Reviewers of Arab women's books seem to take their cues from the titles and covers. Unfailingly, they read these novels as sociological and anthropological texts that "reflect" the reality of Islam and the Arab world and "lift the veil" from what one reviewer called the "unimaginable world of Arab women." The blurb on the back cover of Rifaat's "Distant View of A Minaret" states that the stories "admit the reader into a hidden private world." 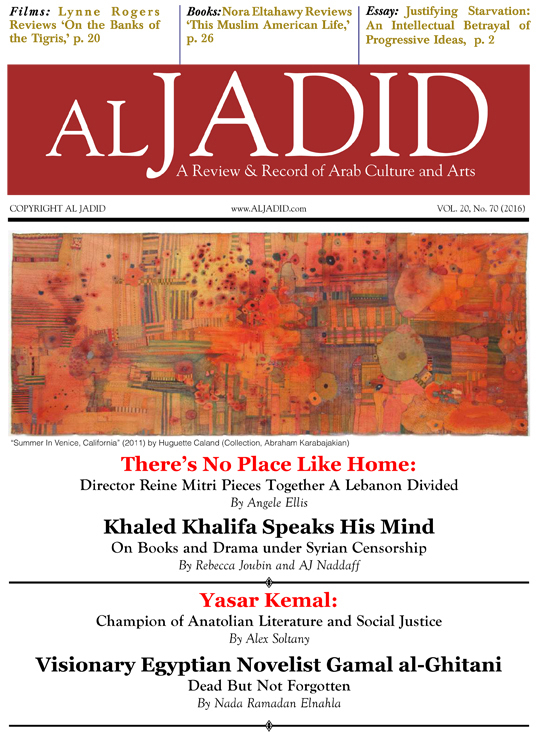 The one on Al-Shaykh's "Women of Sand and Myrrh" declares that "little is known of what life is like for contemporary Arab women living in the Middle East" and promises the reader that al-Shaykh's novel will provide a glimpse behind this "still-closed society." The heroine of one of al-Shaykh's novels is said to be always passive "in the best tradition of Muslim womanhood." Most reviewers conclude that Arab-Muslim culture "is vastly different from [read inferior to] Western culture," especially regarding the treatment of women. One reviewer, an American feminist, was reminded after reading one of el-Saadawi's books of where Western women "have come from." Predictably, issues of sexuality and oppression take center stage in these reviews. 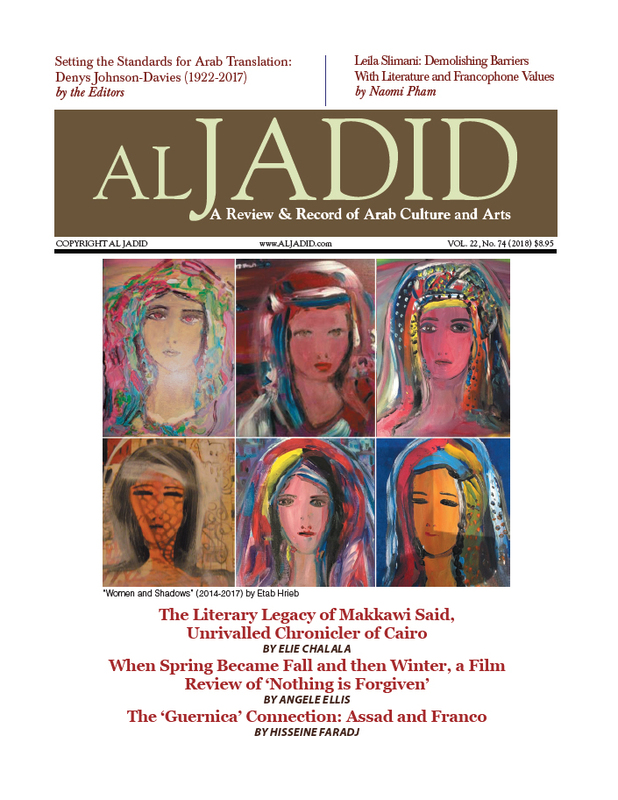 Thus while Alia Mamdouh praises Ahdaf Soueif as a better representative of Arab women's creativity than el- Saadawi, the reviewer of Soueif's novel"In the Eye of the Sun" classes the author with el-Saadawi as another writer who challenges "the denial and circumscription of female sexuality" in the Arab world. Although colonial and neo-colonial biases inform Western interest in Arab women, this fact should not be used to reject any interaction with the West. Other positive factors inspire this interest. For instance, the United Nations' Declaration of 1975-1985 as the international decade of women heightened First World concern about Third World women and gave the impetus to global feminism. That decade culminated in 1986 with the first International Feminist Book Fair in London, which provided a forum for Arab women to present their work to an international audience. The renewed political interest in the Middle East region also coincided with the establishment of women's studies programs in the Euro-American academy. These programs, along with more recent interest in multicultural education, have helped clear space for Arab women writers on college syllabi. Arabic books are being taught in the West more now than at any other time. 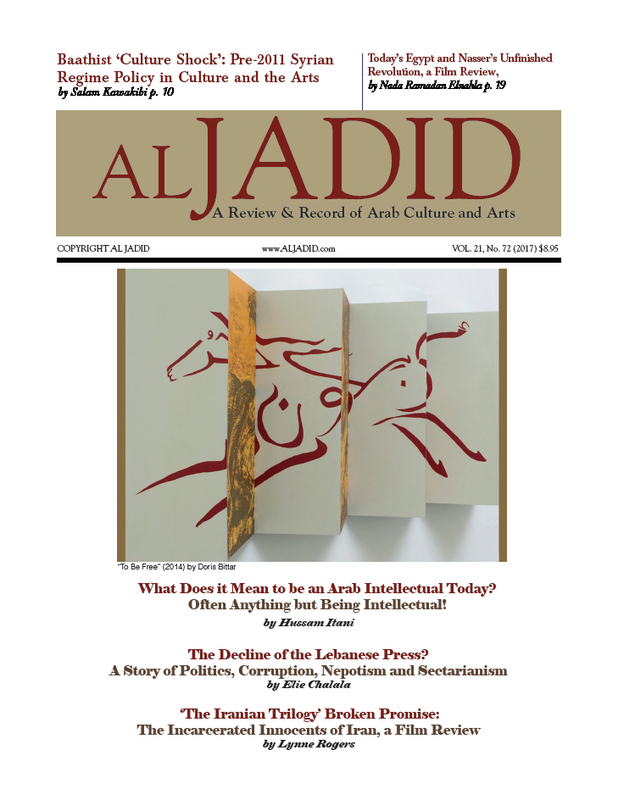 Moreover, recent events, especially the Palestinian Intifada and the Gulf War, have politicized a new generation of Arab and Arab-American scholars. Their commitment to making Arabic works more widely available has two aims: to better inform a hostile American public and to educate the young generation of Arab-Americans about the culture of their parents and grandparents. In talking about the increased visibility of Arab women writers in England and the United States we must not underestimate this tireless work of Arab intellectuals situated in the West. They (along with many excellent non-Arab scholars) are active agents in this effort to promote Arabic literature. It is simplistic, then, to assume that Arab women writers are just pawns being manipulated and used by the West. While recognizing that their texts are subject to misuse, they should not be defeatist and abandon all responsibility for their reception. The more Arabic books made available in English, the better. The complexity and diversity of the Arab world and its literatures can be represented best by a wide range of works. Even though reviewers tend to represent whatever Arab woman writer they happen to be reviewing as a "lone voice" and a victim of Arab censorship, there is really no dearth of talent. The literary historian Joseph Zeidan lists 480 Arab women writing between the 1880s and the 1980s. Last year, 150 women writers and 26 publishers from throughout the Arab world converged on Cairo for the first Arab Women Book Fair, which exhibited more than 1500 titles. With this depth of field, there is no reason that any one writer or group of writers should shoulder the daunting responsibility of representing a whole culture. Diversity guards against stereotyping and pigeon-holing. 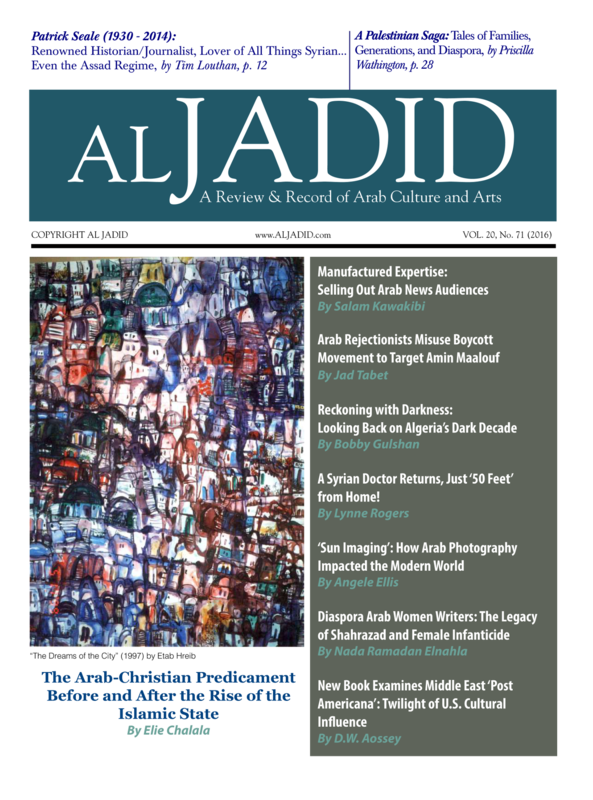 Once Western readers are exposed to a range of styles, nuances, and ideologies, they will learn that Arab writers are individual artists, who speak in multiple tongues and belong to vibrant and diverse cultural movements. But this is not all. We need to encourage a vigorous critical discussion about Arabic literature and culture in the West - one that does not limit itself to the academy. The debate should go beyond "appreciative" criticism that condescendingly praises Arab women writers for "daring" to put pen to paper. Serious debates about fiction will remind readers that they are reading not documentaries, but "literature," which draws on particular conventions and emerges from specific traditions. Critics aware of the original context in which these works appeared should convey a sense of these contexts to their readers. To teach about the Arab context requires Arab critics to play a pivotal part in the debate. To guarantee their active involvement, we should encourage the translation of both literature and criticism. So far, the Arab world has been supplying the cultural "raw materials" which then get ground in the First World critical mill. Arab critics, particularly those situated in the Arab world, are viewed with suspicion, especially when they are men writing about women. If they don't write about Arab women writers, they are chastised for ignoring them. If they do, they are accused of attempting to "contain" and "marginalize" them. Worse, if critical, they are branded as hostile to women and their cause. While this judgment may be true of some, it should not be used, as it often is, as a blanket statement to dismiss Arab critics as a whole. We don't want to silence voices that have much to contribute to the debate. After all, Arab women writers have no reason to fear a strong critical movement.